ELITE national boxer Tianna Guy is now ranked 27th in the female featherweight division in the world. Guy's ranking was posted by the International Boxing Association (AIBA) recently. 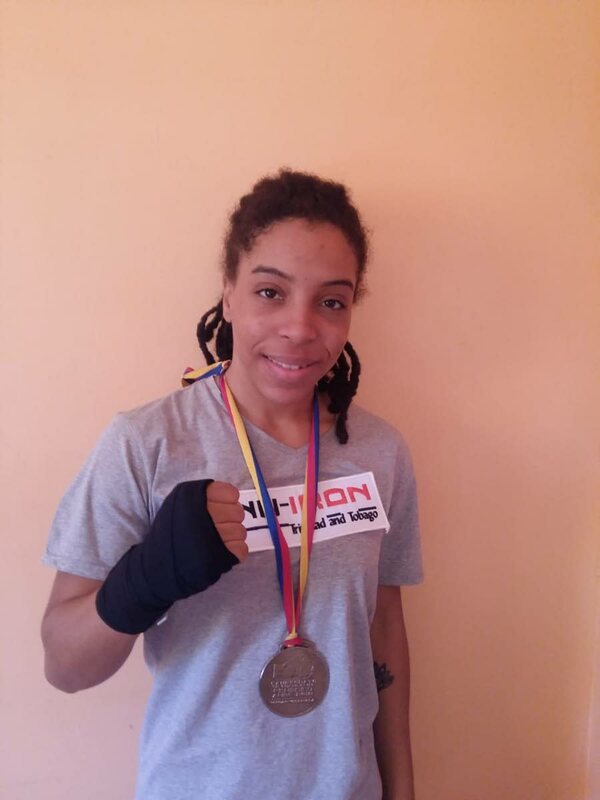 The Enterprise resident, who has only been boxing for just under two years, has competed in some of the toughest events in women’s boxing in the last year. Her biggest event was the Women’s World Championships in India in November 2018, where she eventually bowed out to the 2017 Youth World champion IM Ijei from South Korea. She also participated in the Central America and Caribbean Games and earned bronze at the American Boxing Confederation Continental Games. The elated pugilist said the ranking has motivated her tremendously and has promised to work her way up to the number one spot over the next few years. “I know it is a long road and I have many competitions to overcome, but I am determined to be the best that I can be in this sport. The square ring is now my territory and one day I will achieve my goals,” she said. Bharrath Ramoutar, her coach at Fine Line Fight Factory, is excited about the potential of the 22-year-old. Ramoutar has experience in producing world class fighters, including TT’s first female boxing world champion Ria Ramnarine. Guy will be competing at an open invitational in the Dominican Republic next month. Reply to "Guy attains world boxing ranking"